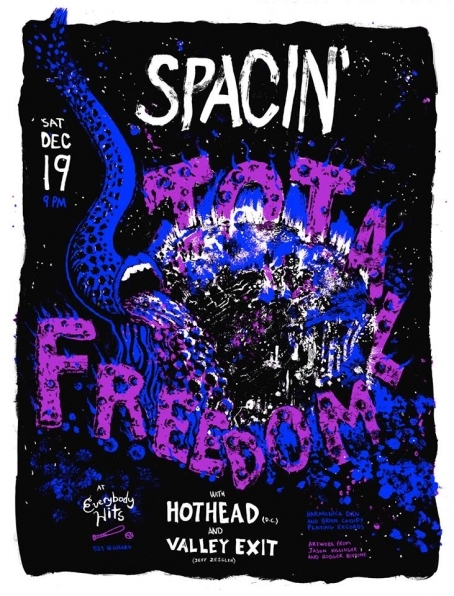 Unlike their rad 2012 debut Deep Thuds, you can now stream Spacin's highly-anticipated follow-up, Total Freedom (Richie Records), online. Though its pressing may have come a little later than expected, we'll just ignore the late December 2015 release, and gladly welcome it into 2016. 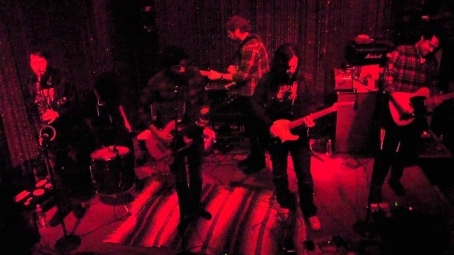 Total Freedom is already The Deli Philly's January Record of the Month so check out our review of it HERE and feel free to take the album for a spin below. Enjoy! 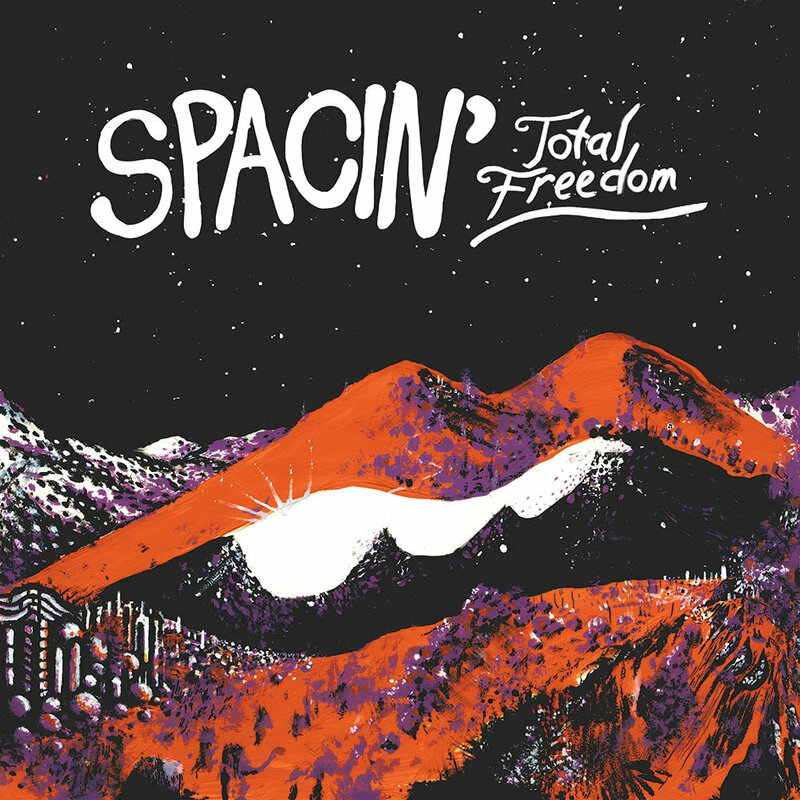 Spontaneous and impromptu moments come together to form Spacin’s sophomore release Total Freedom, available via Philly indie label Richie Records. Pieced together over a multitude of recording sessions spanning about two years, the band’s carefree attitude leads us on another sonic adventure through the minds of Jason Killinger (Birds of Maya) and his collaborators. The group’s first single from the release, “Titchy,” gives you a glimpse into a husband and wife’s private, intimate moment. (Get that mind out of the gutter.) 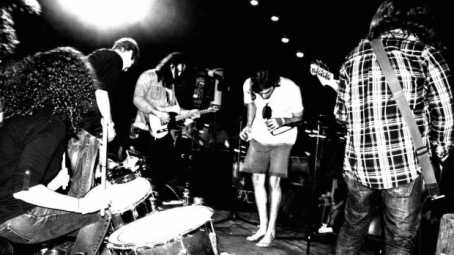 The über lo-fi track revolves around a riff that Killinger had been working on, and he is simply backed by his wife/drummer, Eva Killinger, on the skins, laying down pro-motorik beats, during their lone session without the rest of the gang. “Stopping Man” comes in heavy with a dirty tribal-funk feel and exorcism vocals, before bringing an abrupt end to the A-side of the record. On the flip side, you’ll find guitarist Paul Sukeena (ex-Chris Forsyth & The Solar Motel Band) plucking away in a stream of consciousness manner, seemingly unaware of himself being recorded. It’s a rather serene moment on the album, before being torn to shreds by the rocker “U.S. Ruse,” a freewheelin’ anthem inspired by and with a verse borrowed from the MC5’s “The American Ruse.” Jason Killinger’s usual laidback drawl surprisingly attacks with urgency. It’s a head-bobbing, cathartic discharge of emotion that howls with ferocity - definitely one of the standout moments on Total Freedom. Appropriately closing things out is the record’s title track, which continues the necessary release of tension that is found throughout the LP. Total freedom - that’s what I feel when I listen to Spacin’, and that also just happens to be the title of their sophomore LP, which is available on vinyl via Richie Records. It’s freewheelin’, unpretentious rock ‘n’ roll, and it will be comin’ to you live this Saturday at Everybody Hits! The group will be celebrating the release of their highly-anticipated album, and I can’t wait to get my paws on my very own copy. You do not want to miss this, especially since you never know when Spacin’ will be popping up again. It will also be Jeff Zeigler’s first performance under the moniker Valley Exit, with Bethesda, Maryland’s Hothead sandwiched between the two. Everybody Hits, 529 W. Girard Ave., 9pm, All Ages - Alexis V.